Kelly’s Directory 1881 tells us that at 45a Holland street was Roe & Merchant’s Aerated Water Works. Due to the fact that the Census for 1881 for this part of the street is damaged I have had to examine the census from 1871 and 1891 to see the Aerated Water Works is listed. This business is not on the 1871 Census but luckily it appears on that of 1891. We can see a Mr Samuel Palethorpe living here with his profession listed as ‘Mineral Water Workforceman’ and so we can see that ten years after Kelly’s directory 1881 this business is still in existence. 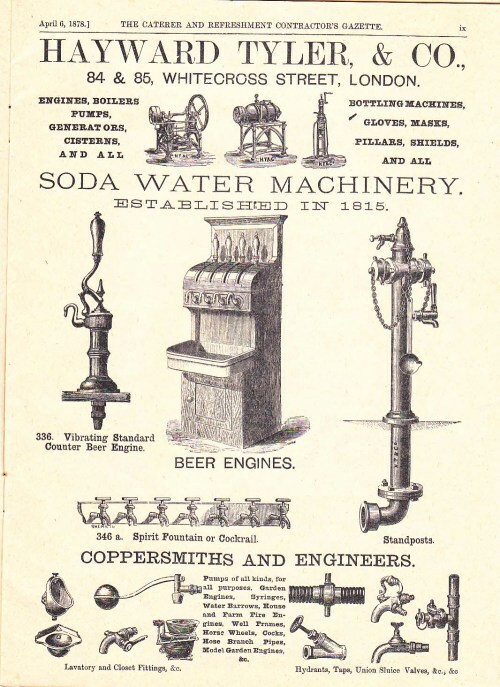 The production of ‘aerated water’ in Victorian times was a profitable trade as ginger beer, soda water and a whole host of other drinks were very popular. For more information on the growth of the soft drinks industry in the UK click here, the document that the link takes you to contains some really interesting London-based history and photographs. An example of the sort of equipment used in the business of water aeration.